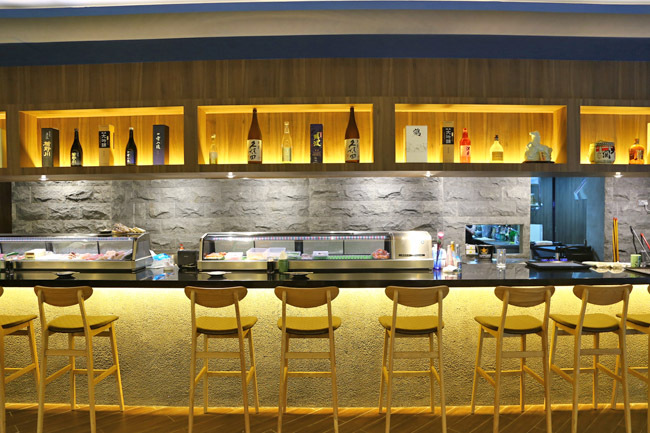 Humble and popular Japanese outlet The Sushi Bar from Far East Plaza has a fuller-fledged restaurant at Ngee Ann City. 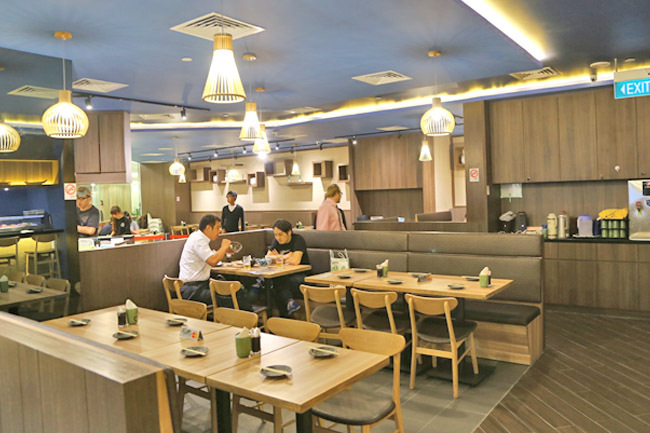 It is not uncommon to see long queues outside the Far East Plaza branches both weekday and weekends, with a line of people waiting mainly for their coveted bowl of Chirashi Don and Salmon Aburi Roll. 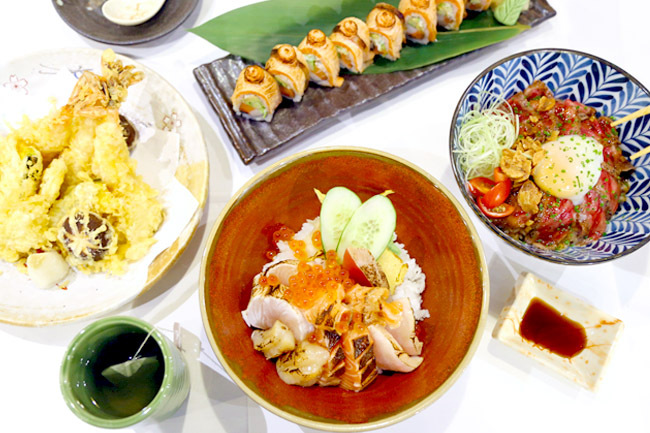 While Far East Plaza is more likely to attract the customer base of students and younger working adults, Ngee Ann City with a swankier look and a long sushi bar should get more willing-to-pay-adults and families coming. I did think that the décor inferred somewhere in-between, not overly upmarket yet. Its temporary menu though, is a true test to your eye sight, with font so small and printing so blur. After some scrutinizing, I am happy to announce that the prices are comparable to the Far East Plaza’s units. There are some new dishes, the recommended ones being Aburi Kaisen Chirashi Don ($26.90), Waygu Don ($34.90), Tempura Moriwase ($24.90) and Dragon Roll ($25.90) – which I commented to my friend, “Next door also have, since many years ago.” Opps. 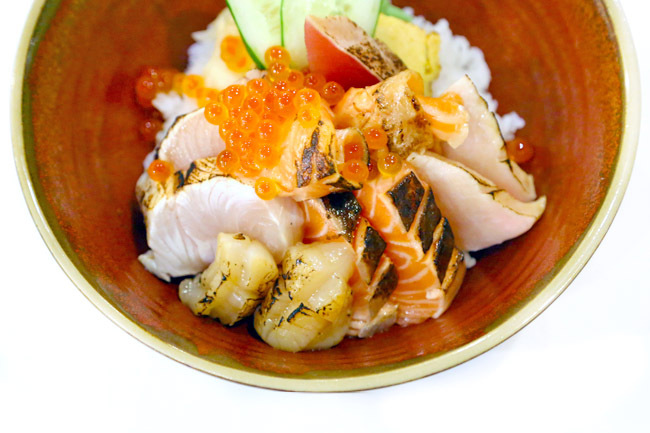 The Aburi Kaisen Chirashi Don ($26.90) was a beauty, a colourful variety of fresh cuts in a single bowl, good for those who likes a bit of everything. Pieces of salmon, tuna, swordfish, yellowtail, scallop and salmon belly are aburied (not such word I know) or lightly torched topside, while the inside is still raw. 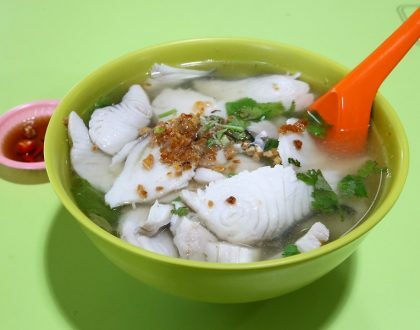 All in all, I liked this bowl – thick cut pieces, some melted in the mouth, a piece or two were chewy-resilient though. And tasty sushi rice. 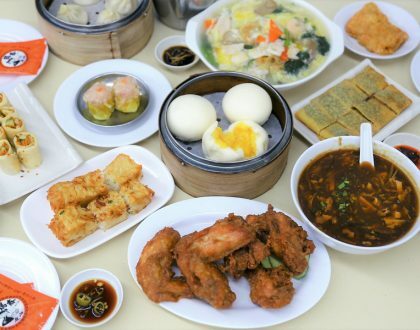 I could have this again. 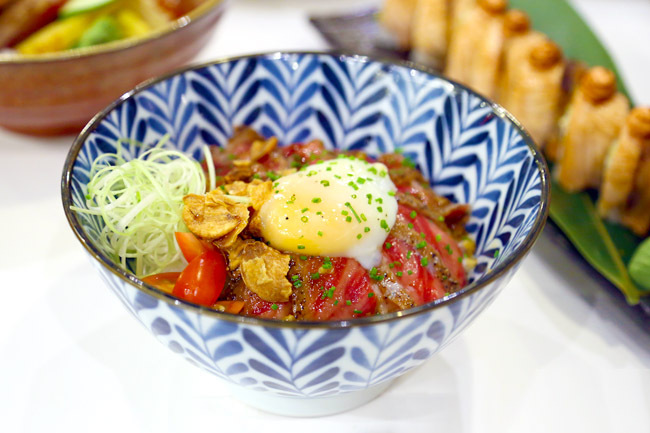 The Wagyu Don ($34.90) was not mind-blowing in taste, thought it needed more sauce or something, but certainly could hold its own with generous portion of beef and a sprinkling of enjoyable fried garlic. 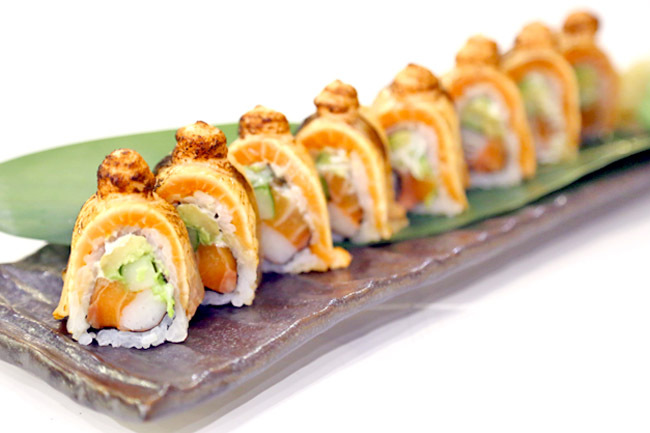 Should I say anything more about their star Salmon Aburi Roll ($14.90)? Always satisfying if you pop a piece into your mouth and slowly chew away, eyes closed. 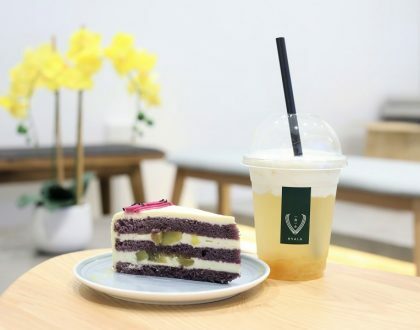 I personally think there are two winning factors – the creaminess of its textures, must be the avocado and proportion of mayonnaise; and mixture of torched and raw sushi interplaying in your mouth. 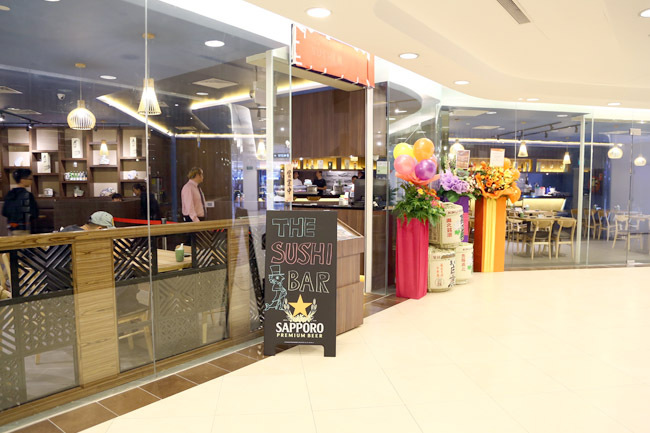 The Far East Plaza units had a no-frills ‘indie’ appeal, while this Sushi Bar is likely to have a big group (5-8 pax), after-work gathering and family dinner draw. Good news or bad, the queues may still continue.